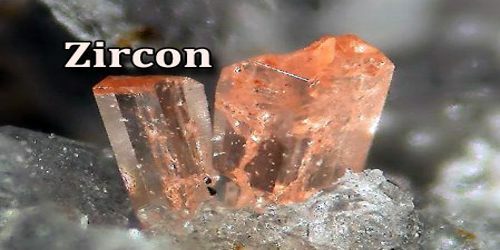 Zircon is a brown, reddish to bluish, gray, green, or colorless tetragonal mineral that occurs in igneous, metamorphic, and sedimentary rocks, and especially in sand. The colorless varieties are valued as gems. Its chemical formula: ZrSiO4. It is a natural gemstone. It is highly dispersive (very sparkly) and as a result, the colorless variety of zircon was used as a substitute for diamond until the 1970’s. In 1976, a synthetic diamond simulant, cubic zirconia was commercially marketed. While the two stones are often confused, they are not related. Zircon is a naturally occurring gemstone and cubic zirconia is a man made, lab created, synthetic construct made to look like diamond. Zircon forms in silicate melts with large proportions of high field strength incompatible elements. The natural color of zircon varies between colorless, yellow-golden, red, brown, blue, and green. Colorless specimens that show gem quality are a popular substitute for diamond and are also known as “Matura diamond”. Zircon is not the synthetic material known as cubic zirconia. It’s a completely distinct, natural species. Coincidentally, zircon is the original diamond simulant. When properly cut, colorless stones can make beautiful and convincing diamond substitutes and even outshine mediocre diamonds. Its high dispersion is close to that of diamond. Decomposition of zircon (ZrSiO4) into zirconia (ZrO2) was attempted by using caustic soda (NaOH) as the decomposition agent. 5–10 μm size zircon, 5–30 wt.% NaOH, and decomposition temperatures ranging from 1300 to 1500 °C were investigated. Zircon bricks of 0.06 mm× 0.06 mm× 0.025 mm shaped were made under a pressure of 15 MPa. Carboxi methyal cellulose (CMC) and Fe2O3 were used as a binder. With increasing temperature and percentage of NaOH, decomposition of zircon increases. Crushing strengths and density of these bricks could be found as high as 53.36 MPa and 3210 kg/m3, respectively. 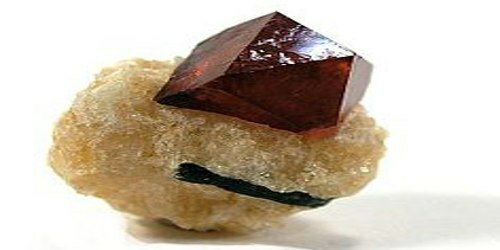 Zircon is ubiquitous in the crust of Earth. It occurs as a common accessory mineral in igneous rocks as primary crystallization products, in metamorphic rocks and as detrital grains in sedimentary rocks. Large zircon crystals are rare. It occurs in many colors, including reddish brown, yellow, green, blue, gray and colorless. The color of zircons can sometimes be changed by heat treatment. Zircon has a specific gravity of 4.6 to 4.7, which is much higher than the typical detrital sediment grain that is between 2.6 and 2.8. This specific gravity difference allows zircon grains to be recovered from the sediments by mechanical separation. 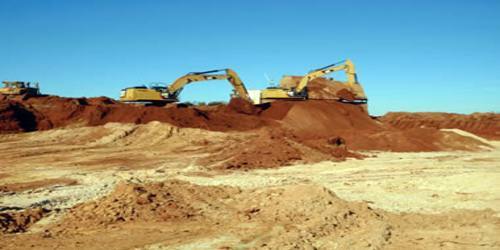 Industrial-grade zircon is mined from land- and marine-based deposits of alluvial origin in many parts of the world. Zircon is used as a refractory material in many foundry and casting applications. One of its most common uses is in the production of ceramics. 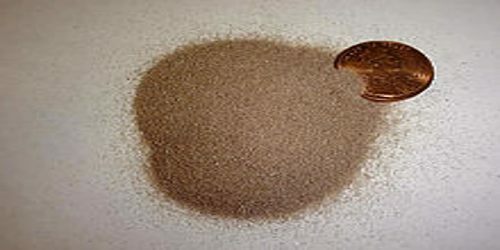 It is used as an opacifier, whitening agent, and pigment in glazes and stains used on ceramics and pottery. Yttria-stabilized zirconia is used to manufacture cubic zirconia, fiber optic components, refractory coatings, ceramics, dentures and other dental products. Other applications include use in refractories and foundry casting and a growing array of specialty applications as zirconia and zirconium chemicals, including in nuclear fuel rods, catalytic fuel converters and in water and air purification systems. Zircon is one of the key minerals used by geologists for geochronology. It is a part of the ZTR index to classify highly-weathered sediments.